Project management office services (PMO) is a widely used term in the developed countries for all major industries. The basic philosophy behind these services is that the principal client shall hire us to manage their projects and the scope of work shall vary, based on client’s requirements. Provide trainings to the Project Managers related with modern techniques of Project Management based on latest PMBOK guidelines. Provide Project Management Templates which have been developed by our experienced professionals over the years during the span of their career. Provide Project Management Audits to see whether correct PMO procedures are being implemented in the organization. 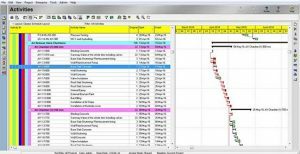 Develop Project Time Schedules in Primavera P6 and Project Budgets. Provide the Progress Reporting services on your behalf by operating in virtual environment . 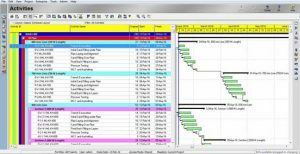 Development of a detailed Project management including baseline Time Plan, Cost Baseline etc. Monitoring deviances from the Project Management Plan during the execution phase and suggesting corrective actions. Providing material reconciliations at site to underline the differences between budgeted material consumption and actual material consumption. Forward/Verify payment certificates on your behalf based on the nature of service provider you are on the project. 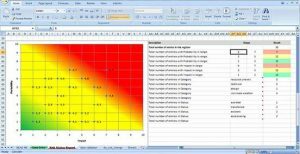 Providing Manpower histograms based on calculated manhour productivities to ensure that the manpower at site is neither surplus nor less during the entire time period. Contractual Correspondence with all service providers. Managing and coordinating change orders. Preparing Baseline Project Time Schedules in Primavera P6 and monitoring it during the execution phase. Implementing corrective actions and workarounds to bridge the gap between plan and implementation. 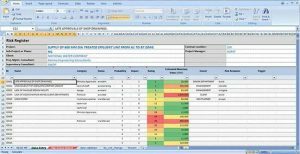 Identification of Critical Activities in the project network and prioritization in execution of those activities. 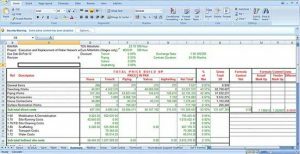 Preparation of Project Budgets and Cost Baselines in an in house kalk worksheet specially designed for this purpose. Monitoring of deviations from the cost baseline during the actual execution. We have our Risk Management worksheets for effective identification of risks, through analysis of its impact on project objectives and then coming up with methodologies of handling those risks. We provide risk ratings through that work sheet so that high impact risks are dealt on priority basis.